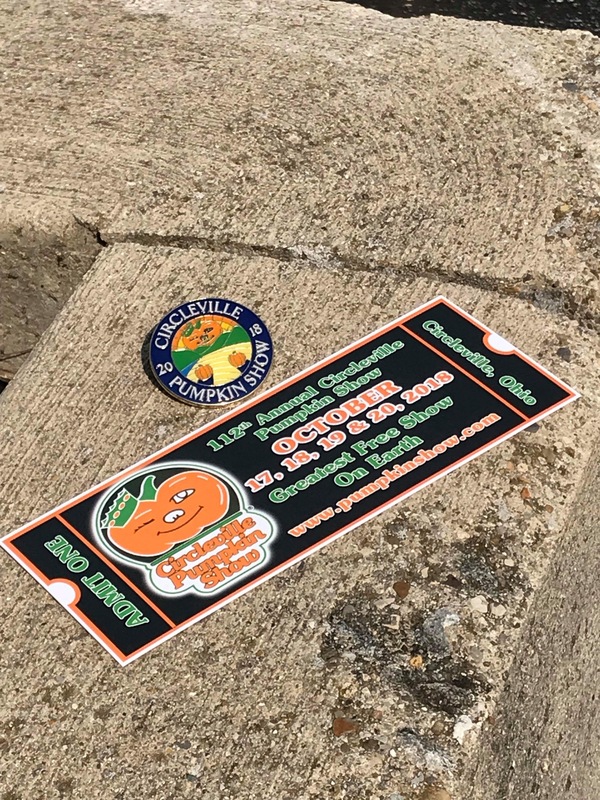 CIRCLEVILLE – For many years, the Pumpkin Show Souvenir Committee has released a souvenir pin to commemorate the year. In the last several years, the committee has called upon the talents of local artists to design these pins. Pins of the past have included Circleville landmarks such as the the Pickaway County Courthouse and the Ferris wheel. 2015 year’s design, created also by local artist Steve Spicer, is a wagon full of pumpkins with the city hall building in the background. Spicer, a Circleville native and Circleville High School graduate, describes himself as a print maker. For several years, Spicer has been a member of the Pumpkin Show Craft Committee in addition to partaking in all types of handmade crafts. 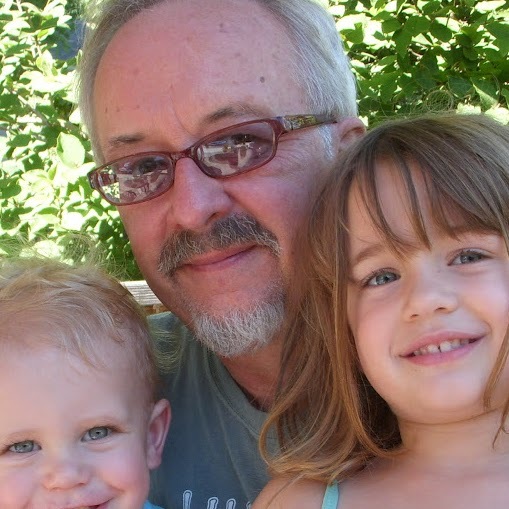 From basket weaving to rebuilding a chicken coop, Spicer is a Jack of all trades when it comes to craftsmanship and use of various art mediums. Spicer said his earliest memory of being an artist was in the first grade when he created a picture of a Pumpkin Show parade. The picture was entered into the county fair art competition by his mother, who saw promise in him at an early age. Inspiration for the pin design, he said, comes local inspirations that he photographs and sketches. Spicer said the design, for the 2015 pin, was not originally intended to become a pin, but after speaking with Keller about the need for designs, he decided to adapt it for that use. Past local pin designers include Kendall Adkins in 2013 and Katie Ankrom in 2014. Keller said the Souvenir Committee hopes to continue this tradition of recognizing local artists and graphic artists for future designs. 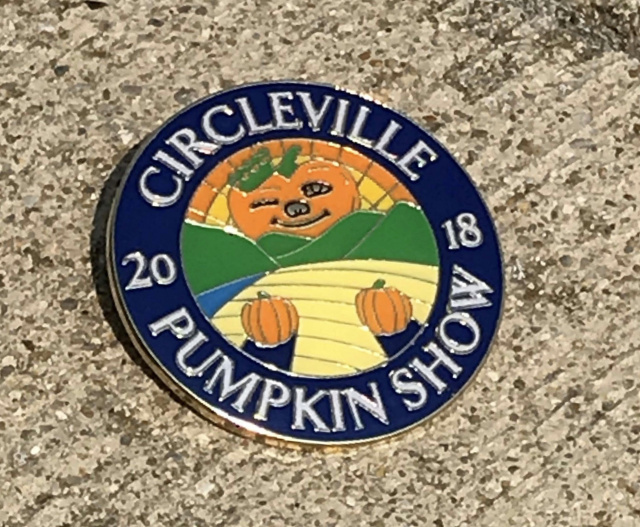 Artists looking to submit their designs for next year’s souvenir pin should contact Keller via the Pumpkin Show website.